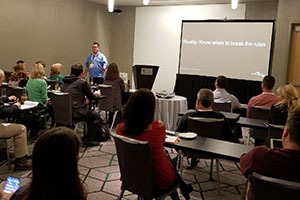 GPUG Amplify is hosted by Dynamic Communities, the world’s largest community of Microsoft Dynamics users and the parent company of the Dynamics GP User Group (GPUG). Learn more about the conference hosts. 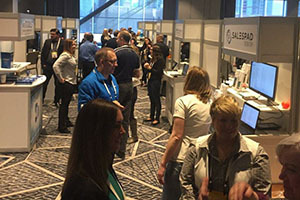 In 2018, the triennial GPUG Amplify was held in downtown Chicago, IL with 325 attendees. 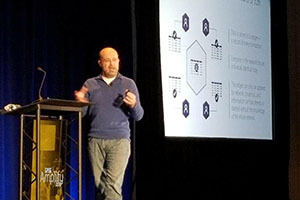 Learn more about the GPUG Amplify 2018 Keynote Speaker Derek Martin, Blockchain Expert. Learn more about the overview of new features of GP 2018 and the GP future roadmap shared during the Opening General Session! We couldn't do it without you. Thank you to our 2018 Sponsors. Connect with fellow attendees from GPUG Amplify 2018. Looking for a recap of 2017's GPUG Amplify?